The second day was focused on conservation treatments. Caroline explained and demonstrated the treatments and then we all got to have a go. As a preventive conservator, I don’t do a lot of interventive treatment and I was a bit worried that these treatments would be beyond my skills level, but Caroline’s demonstrations were very clear and informative and I found I was able to keep up with the group quite easily. 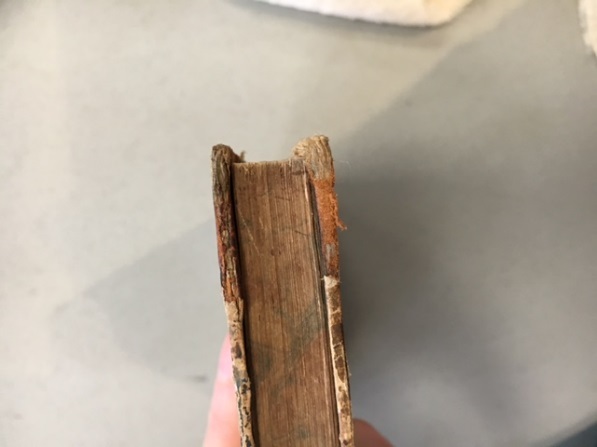 I learned how to reattach boards and spines, consolidate red rot and repair corners. I was particularly proud of the spine repair that I made as it is quite a tricky procedure. I thoroughly enjoyed the workshop. 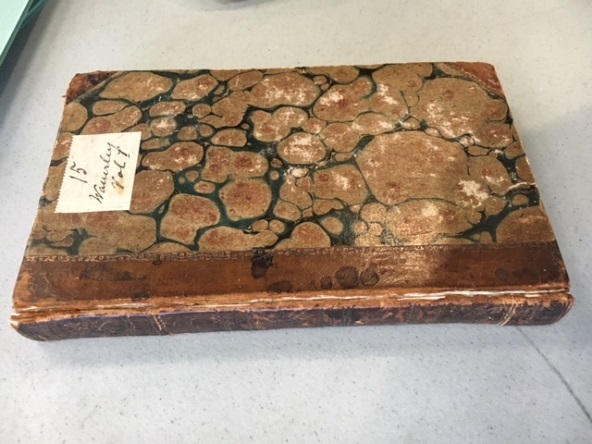 I feel that I am now more confident in making condition assessments and recommending treatments for books, and I am really looking forward to using the practical skills I have learned to help Emily with work on our rare book collections. 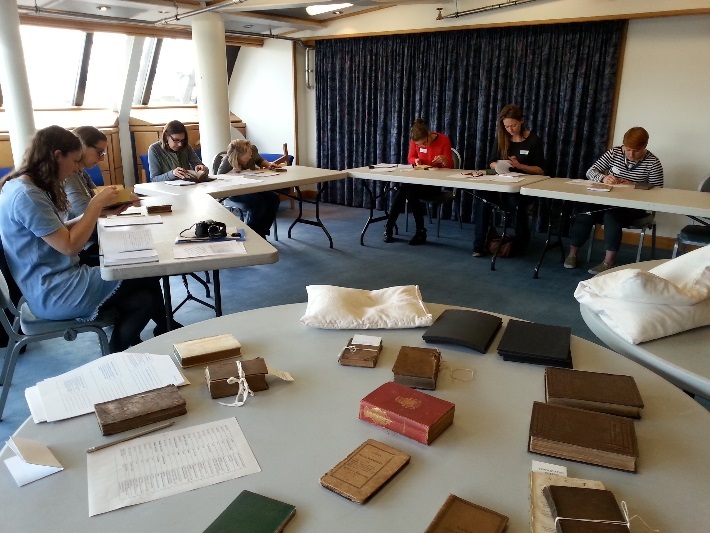 This entry was posted in Training and tagged basic repairs, book conservation, National Library of Scotland by conservation. Bookmark the permalink. Thank´s for share your experiences. I´m very interested on the red rot problem ¿How do you consolidate the skin with the red rot problem if it gets stain with the humidity?